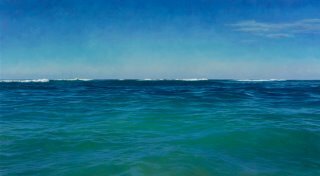 Gloucester artist Chris Armstrong’s photorealist “Ocean Paintings” at Beth Urdang Gallery suggest someone standing on land looking out to sea -- even though these seascapes bear no buoys or other signs of being close to shore. It’s something about how the waves seem to roll in with their deep momentum and a white crest bubbling on top. In each one, you gaze out to the horizon, which is sometimes crisp and sometimes obscured by fog. Here the water is flat, there it’s agitated. 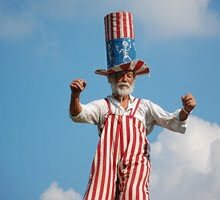 Sometimes fleecy white clouds drift lazily above. 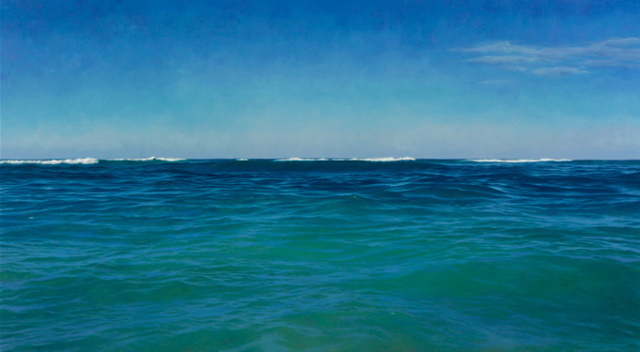 “Shallows” (2006) is about powerful currents running underneath the waves, and here what holds you is the way the water shifts from green to blue. In “Pearl” (2006) sunlight gleams in bands across churning blue waters. It’s about the surface of the sea and Armstrong nails the stunning, brilliant light sparkling across the top. These oil paintings look great in reproduction, but unfortunately in person the brushstrokes feel somewhat inert. I wish he could he keep the precisely realistic rendering while putting more life into the paint. 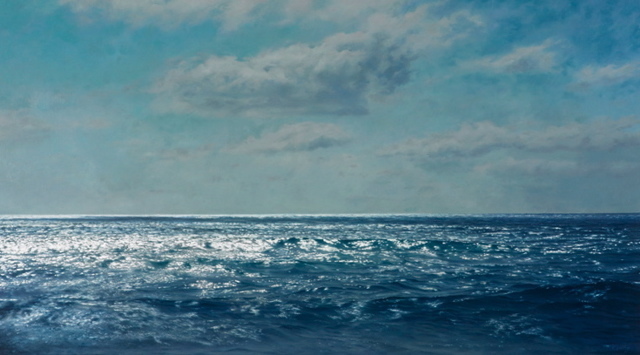 Chris Armstrong “Ocean Paintings,” Beth Urdang Gallery, 14 Newbury St., Boston, Nov. 9 to Dec. 2, 2006.